You know something I'm really passionate about? If you're a mom you get this. Have you ever tried to wrangle a toddler and a baby and a cart full of groceries in a busy parking lot with a diaper bag the size of a bus sticking out under your elbow? It restricts about 90% of your arms functionality and is seriously a drag. There are worse problems. But if you're a mom, and you want to make your life easier, a diaper bag backpack is a really good place to start. I'm going to show you my favorite diaper bag backpack options at different price points and talk you through what I use. 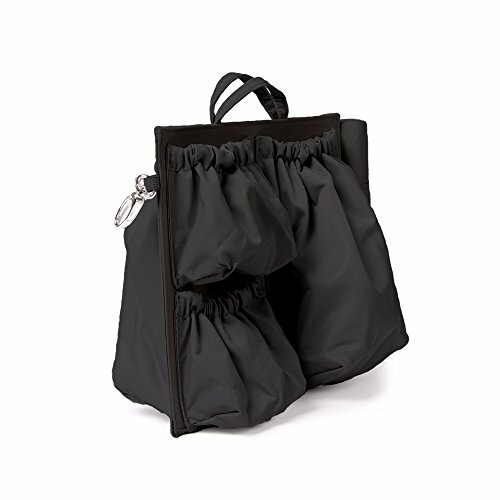 I personally love a neutral, non-patterned diaper bag with functional pockets and a comfortable fit. You won't see me recommend Petunia Pickle Bottom, JujuBe, or Fawn Design Bags because in my opinion, they don't fit those requirements. But if you love camel colored leather, functionality, and beauty, keep scrolling. Just so you're aware, any product from Amazon or included in a widget is an affiliate link, which means that I make a (very) small profit if you decide to buy. Thanks as always for supporting Wander on Home. The Tote Savvy mini is what I have and love. It fits into my normal, non-diaper bag backpack. The pockets are good and stretchy so everything fits into them and STAYS in them (even more important!). One pocket is insulated, and it comes with a changing mat that is really nice and big and easy to wipe down, although it's not padded. You can buy the black version on amazon or get a gray, blush, or almond version from the Tote Savvy online store. They also have a bigger version with more pockets. Parker Baby Diaper Backpack - Large Diaper Bag with Insulated Pockets, Stroller Straps and Changing Pad - "Birch Bag"
For the price, both of these diaper bag back packs are cute and functional. Both are available on amazon. I also love both the diaper bags available from Target in the widget below. Both are a little more colorful but still tasteful. Remember the Tote Savvy from above? If you'd like, you can get it in faux leather from Fawn Design and it is beautiful. I had a mediocre experience with my Fawn Design bag, but I probably would have bought one of these Tote Savvy's if they had been available when I purchased mine. I was really impressed with the beautiful diaper bag backpacks available for under $100. The Skip Hop Simply Chic is my favorite, with the Babymel in close second. Unfortunately in life this is where things ALWAYS start to get really good, right? Jeans, diaper bag backpacks, haircuts...sigh. My two favorites are the Sage & Harper Backpack in White and the Freshly Picked backpack. 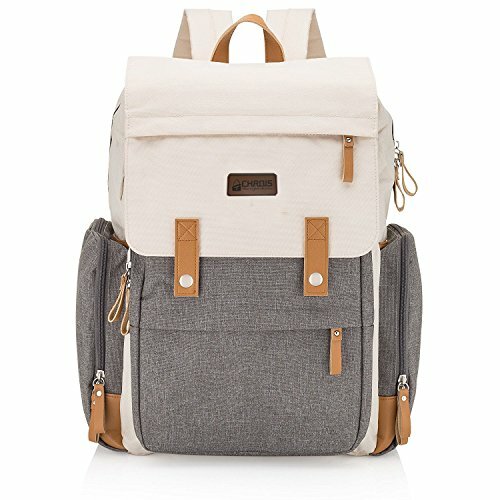 Sage & Harper is a small company that has been doing diaper bags for a while but just released their own backpack diaper bag. I was able to be in the photoshoot, which was really fun. The backpacks are stunning! As much so in person as in the photos. More info here on the Sage & Harper website. And is anyone really surprised that the Freshly Picked Backpack is both beautiful and $175? I hope this has helped you find the Diaper Bag Backpack of your dreams! If you hear of any good ones I've missed, please comment below! 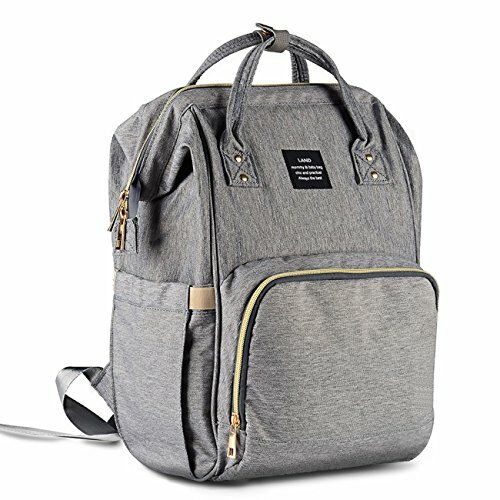 A lot of small companies are making diaper bag backpacks and it's hard to keep up with them all, but I want to know about the really good ones! And as always, if you enjoyed this, please share it!